I just noticed earlier today Sept. 29th that my Husky has chunks of hair missing from her tail and later I noticed it was raw and red. I observed it a little longer and found out that she has been biting her own tail. I am not too sure why she is doing this can you help? I was thinking boredom due to the lack of exercise the last few days because of the heat wave. Sorry to hear that Aurora is having skin problems. 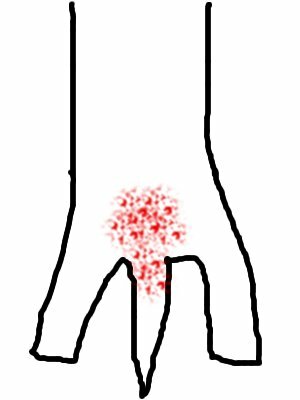 It is also possible that this is something called a hot spot which is an area of infection. Hot spots in this area can also be due to fleas. But they can also happen because of any break in the skin. Unfortunately most pet store flea products do not work well for fleas anymore. I highly advise a prescription flea product like Frontline, Advantage, or Revolution. It really does sound like a vet visit is a good idea!